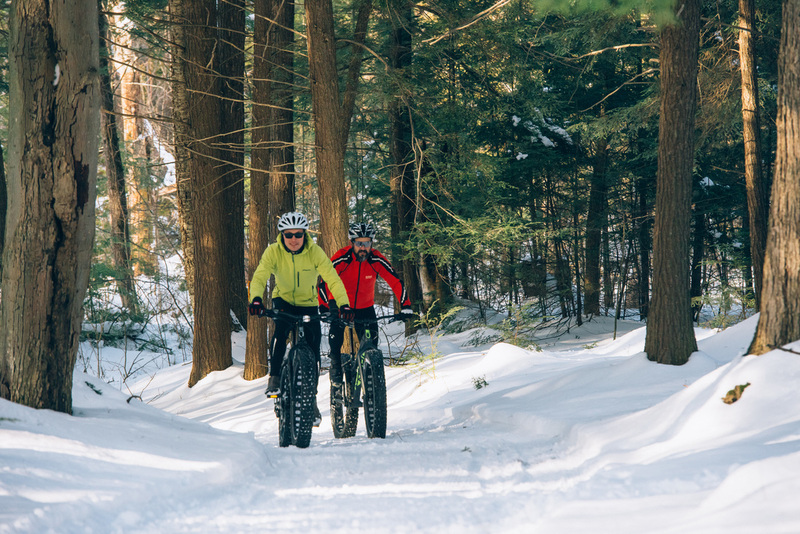 Below we've listed some of our staff's favorite spots to stay active this winter. Feel free to print off one of the trail maps or stop by our shop for some in-person expedition guidance. We offer a range of gear and tours to help keep your winter action-packed! Leelanau Trail - The mostly flat 15.5-mile Leelanau Trail runs from Traverse City to Suttons Bay. 14 miles of the trail are groomed for classic ski and fat bike - from the trail head at DeYoung Nature Preserve. to the trail head at 4th St. in Suttons Bay. In the summer, it functions as a bike trail. Three trail head parking areas: off Fourth Street in Suttons Bay, off Cherry Bend Road and off Fouch Road in Traverse City. Bahle Park - 1.5 miles snowshoe trails and Suttons Bay's ski run/sledding hill. Once an old community ski area, the 200 ft vertical ski run is available only to those who can hike to the top. Perfect for backcountry skis. 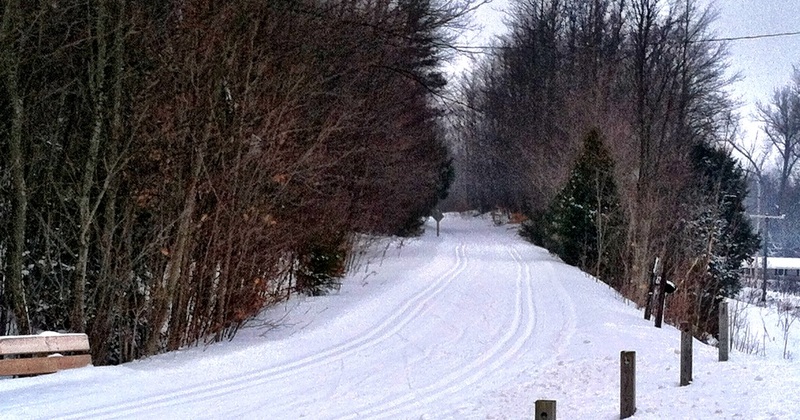 Leelanau State Park - Approximately 6 miles of XC Ski trails, ranging from beginner to advanced. Also, 5 miles of winter only groomed fat bike trails. Located at the tip of the Leelanau Peninsula, take County Road 629 north out of Northport to Densmore Road, then left to the designated parking area. Houdek Dunes Natural Area - Approximately 3 miles of trail: 3/4 and 1- 1/2 mile loops can be covered in 2 hours. Moderate trails great for snowshoeing and backcounty skiing. Info kiosk at trailhead, benches at ancient maple. Beautiful octagon-shaped deck and sitting area overlooking Houdek Creek. Clay Cliffs Natural Area - Approximately 1.5 miles of trail: 1.5 mile trail system on flat and hilly terrain. There is a viewing platform above the bluffs, with breathtaking views from 200 feet above Lake Michigan. On the trail to the bluff there are views of Lake Leelanau to the East. 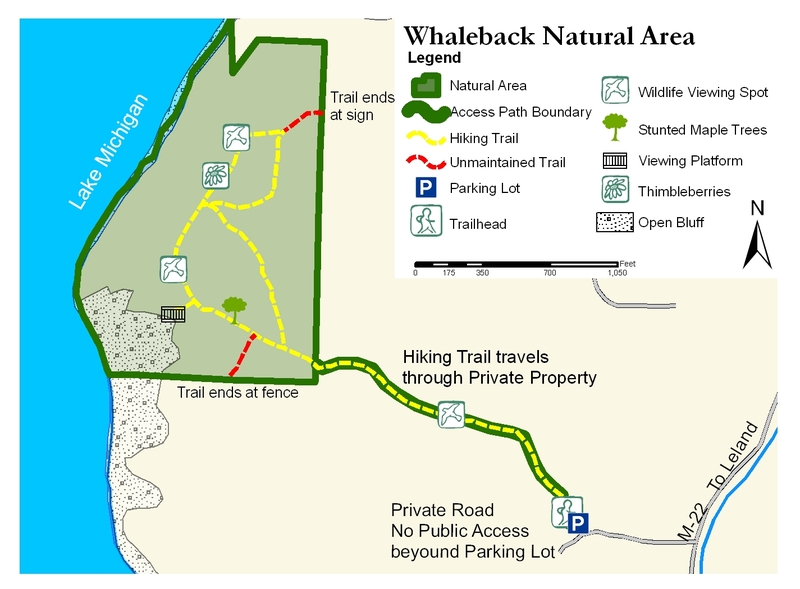 Whaleback Natural Area Trail - When you visit, please realize that the land on both sides of the access trail is private and is not open to the public. 1.5 hours, challenging hike, steep access trail to flat 3/4 mile hilltop loop. Info kiosk at trailhead, benches along steep trail. Pyramid Point Trail - On this 2.7 mile trail, you will find three extremely different environments: meadow, beech-maple forest and high bluffs overlooking Lake Michigan. Please do not descend the bluff for your own safety and to protect the natural setting. Alligator Hill - More than 8 miles of trails dividing into easy, intermediate and advanced loops. Scenic overlooks offering views of Lake Michigan and Glen Lake. Enter trail off Pierce Stocking Road just off Day Forest Road near M-109 in Glen Arbor. Bay View Trail - About 8 miles of easy-to-advanced skiing. Trailhead on north end of Thoreson Road, 3.5 miles north of Glen Arbor. Good Harbor Bay - A 2.8 mile beginner loop near the shores of Lake Michigan. 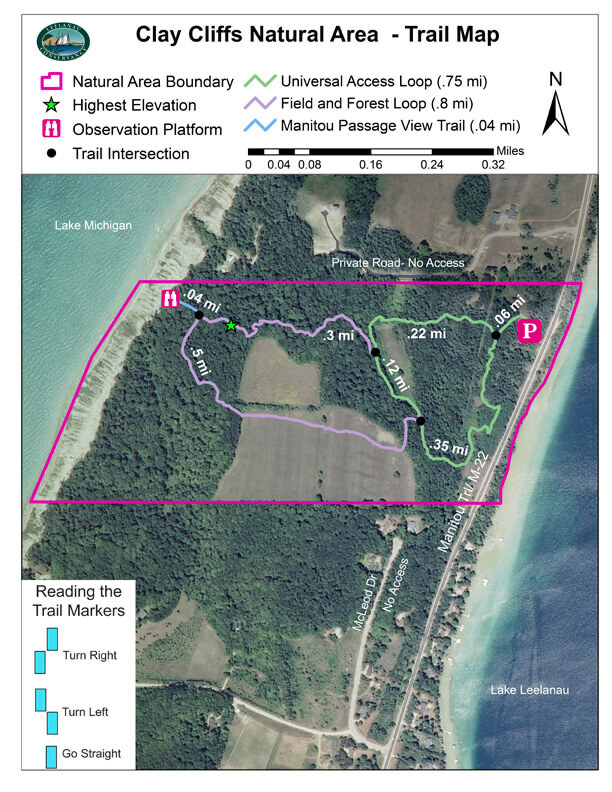 Trailhead is 10 miles northeast of Glen Arbor on Lake Michigan off County Road 669. Pierce Stocking Scenic Drive Trail - About 8 miles of easy to advanced skiing. Trailhead is just inside the entrance to Pierce Stocking Scenic Drive. Shauger Hill - A 2.4 mile hilly loop with beech and maple trees. Trailhead is at Shauger Hill Road and Scenic Drive.